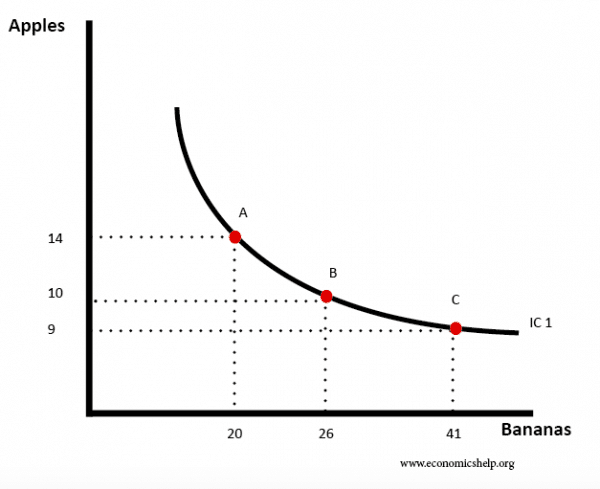 An indifference curve is a line showing all the combinations of two goods which give a consumer equal utility. In other words, the consumer would be indifferent to these different combinations. The indifference curve is convex because of diminishing marginal utility. 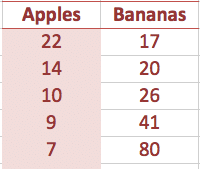 When you have a certain number of bananas – that is all you want to eat in a week. 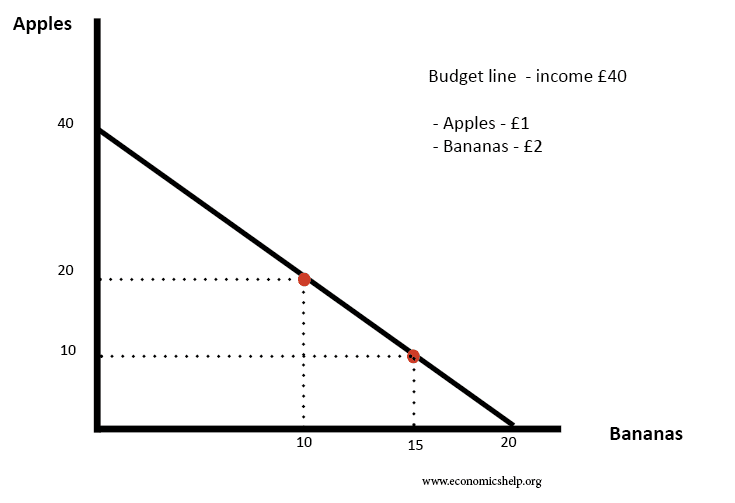 Extra bananas give very little utility, so you would give up a lot of bananas to get something else. 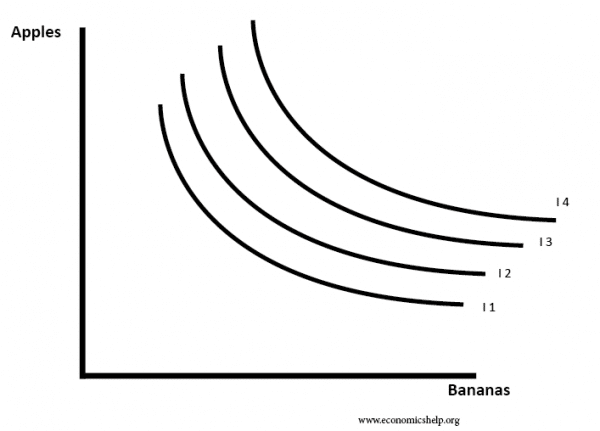 We can also show different indifference curves. All choices on I2 give the same utility. But, it will be a higher net utility than indifference curve I1. I4 gives the highest net utility. Basically, I4 would require higher income than I1. 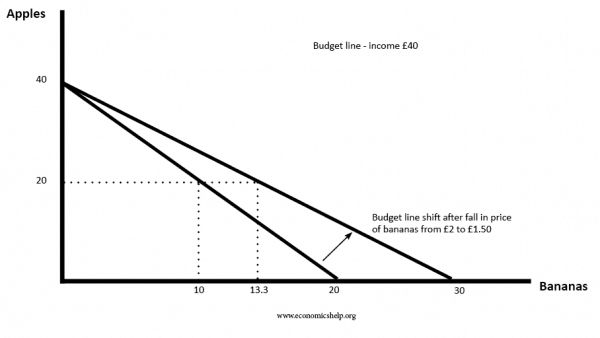 A budget line shows the combination of goods that can be afforded with your current income. 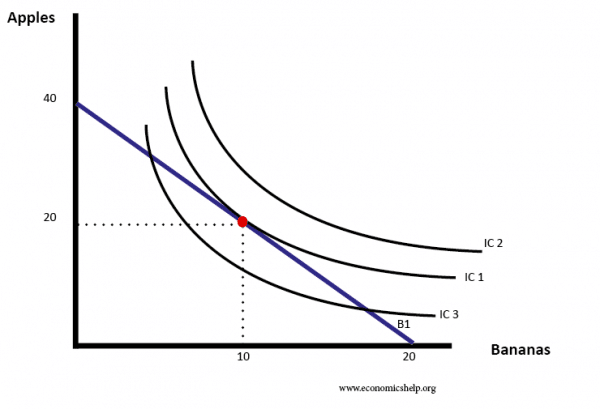 Given current income – IC2 is unobtainable. 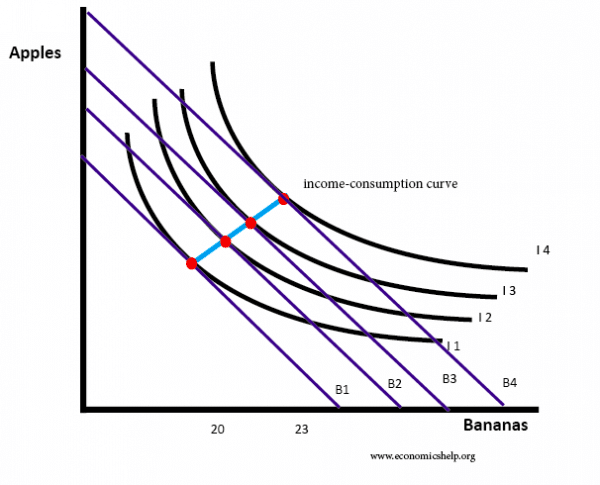 As income rises, you can afford to consume on higher indifference curves. This optimal choice will shift to the right. 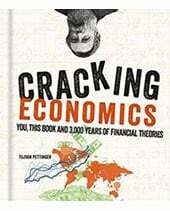 This we can plot consumption as income rises. With lower prices, we can now consume at a higher indifference curve of IC2, enabling more bananas and apples. Income effect. 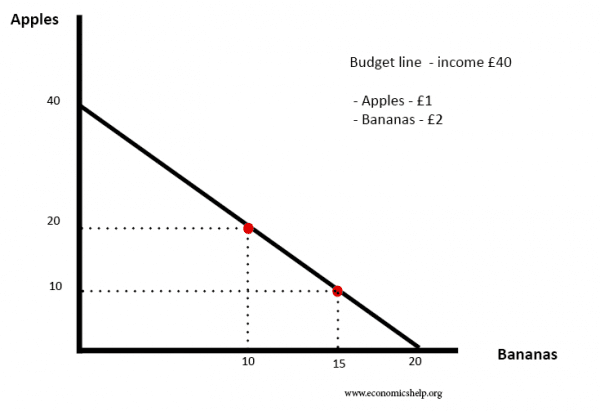 This looks at the effect of a price increase on disposable income. 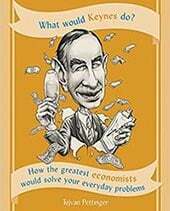 If the price of a good increases, then consumers will have relatively lower disposable income. For example, if the price of petrol rises, consumers may not be able to afford to drive as much, leading to lower demand. Substitution effect. This looks at the effect of a price increase compared to alternatives. If the price of petrol rises, then it is relatively cheaper to go by bus. 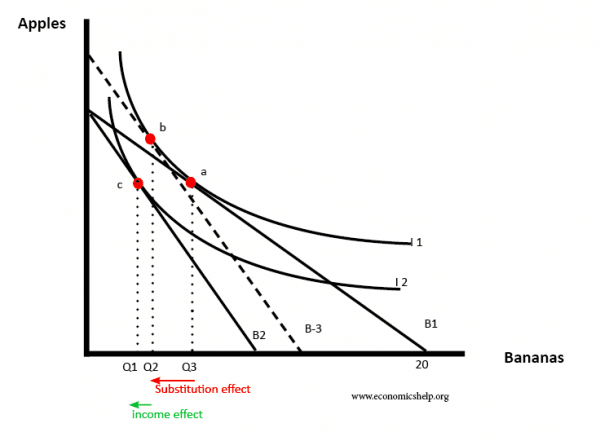 To find different substitution and income effects. We draw a new budget line parallel to B2 but tangential to the first indifference curve. 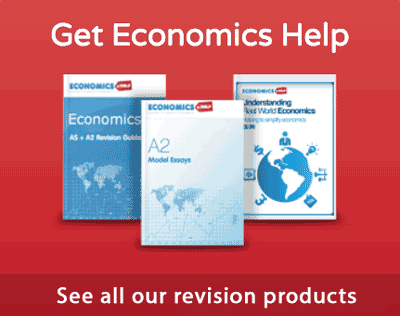 By focusing on B-3, we are examining the effect of price change – ignoring any income effect. 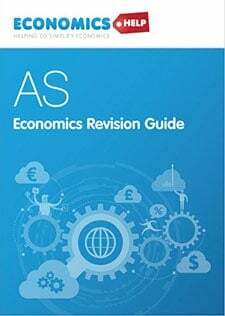 The change from A to B (Q3 to Q2) is purely due to the substitution effect and relative price change. 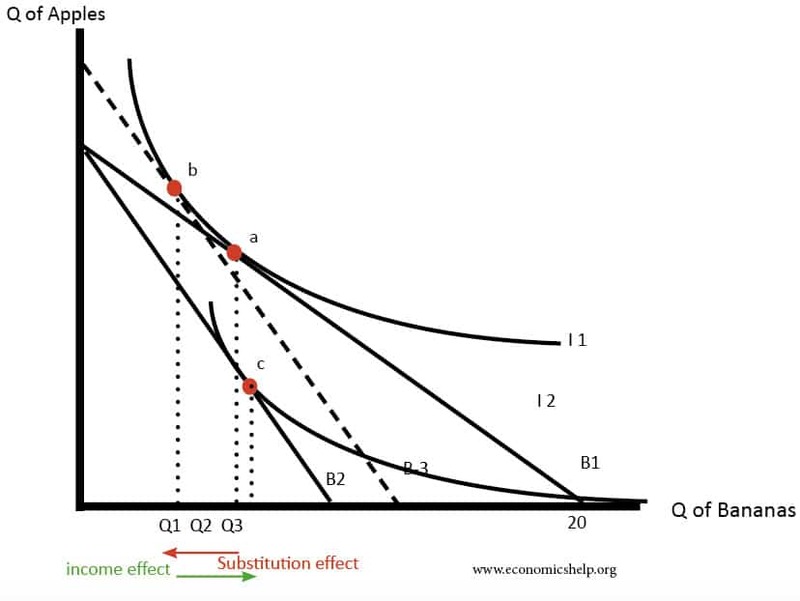 In this case of a normal good, the income and substitution effect reinforce each other – both leading to lower demand. 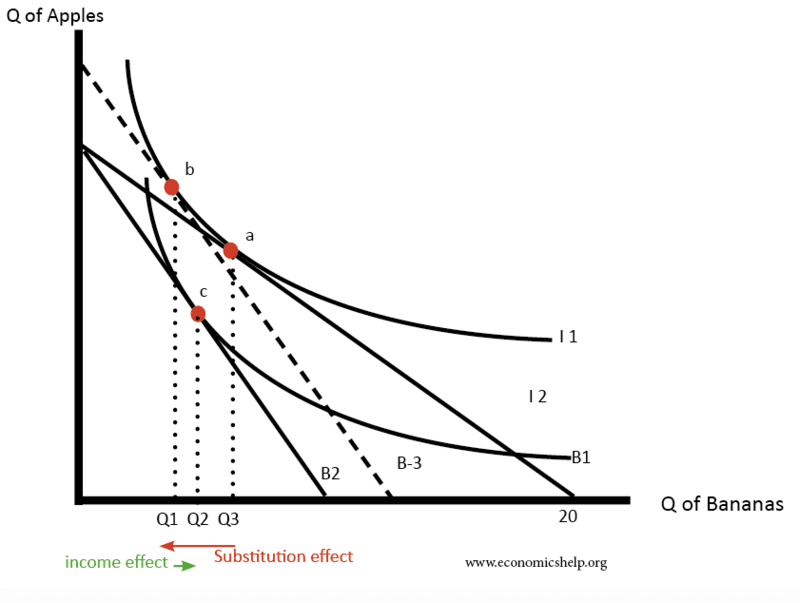 The substitution effect (using a parallel budget line of B-3) causes big fall from a to b. Overall demand falls, but the substitution effect is partly offset by the income effect. This is because when income falls, the decline in income causes us to buy more inferior goods because we can’t afford normal / luxury goods anymore. 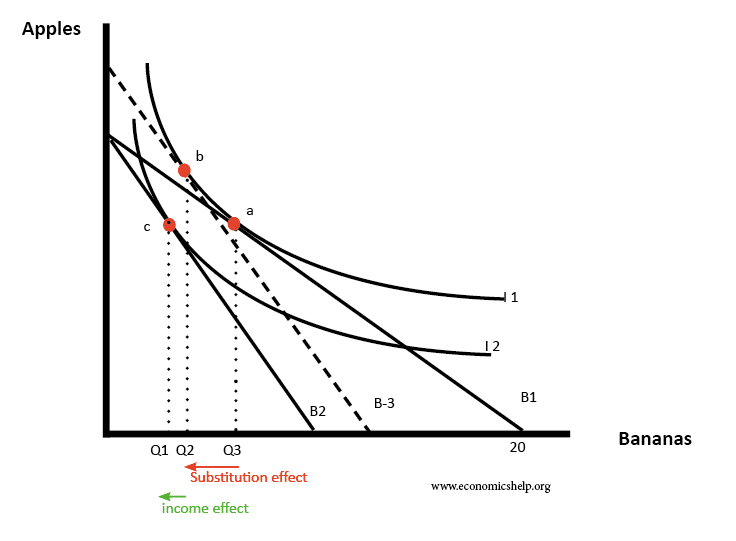 A Giffen good occurs when the income effect outweighs the substitution effect. This is quite rare, but it is theoretically possible for poor peasants who have a choice between expensive meat and cheap rice. 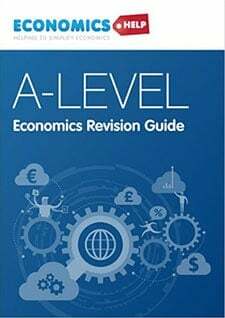 A rise in the price of rice could make them eat more rice because the income effect means they no longer can afford to buy any meat.